My first pick is Downstream A History and Celebration of Swimming in the River Thames by Caitlin Davis (Arum). I heard Caitlin on Woman’s Hour in the summer and was intrigued to find out more about ladies swimming in the river back in Victorian times. I’m keen to hear more about Thames swimming as I’ve had three life enhancing holiday swims in it during the last 18 months. Twice with a family group of cousins near Pangbourne and at Sittingbourne (where we saw a kingfisher) and once with just the super swimmer (aged 11 1/2) and my sister’s dog near Shiplake. Oh the fun of being able to jump into a river and swim off and then share a flask of tea or Ribena on the bank! Dip by Andrew Fusek Peters – I picked this after I found a review by Matt Haig in The Independent. The author has had depression, and this looks to be an intensely personal account of how wild swimming joined him on his journey to recovery. Having lost my mojo twice this week, and twice grabbed it back in the pool, I know how lucky I am to be able to swim through drizzle or under grey skies to be rewarded when the sun comes out and spreads a silver sheen across the water. Sometimes on Sunday mornings I swim to clear my head of a grumpy mood, to set myself up to be a better mum and wife for the rest of the day. The Three-Year Swim Club by Julie Checkoway. I picked up some great buzz on twitter as it came out in the UK in the autumn. It’s the true story set in a Hawaiian sugar plantation in 1937 of a group of kids who were challenged to become Olympian swimmers by their teacher – they had nothing, no pools to train in, just fetid ditches. Julie’s on twitter here. Or… you could try them (or you) with a copy of H2OpenMagazine. This magazine is a whole new world to me. I didn’t know it existed til a colleague met the editor at a gymnastics event their respective children were attending. They got chatting, as you do when you’re spending hours watching your kids perform, and she told him she knew someone keen on swimming outside. So hey presto she was given a copy to pass to me. 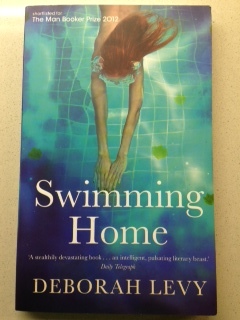 It’s packed full of swimmers’ exploits and tips, and me and my super swimming daughter (now almost 12) have really enjoyed reading about other swimmers’ incredible feats. There are instructions on how to prepare your venue for an Ice Mile – which could involve bringing in a crane to remove the sheets of ice you’ve had to carve out of the water. Quite glad the temperatures at Parliament Hill Lido have stayed so balmy we haven’t needed to bring in any ice breakers…. Looking at the magazine, and chatting to the editor on twitter has got me thinking about what my swimming goals may be for 2016, after all those intrepid swimmers all started somewhere. You can find the magazine on twitter here. I’ve been for another swim at London Fields Lido. There were mutterings that the heated water was a tad nippy so I took two pairs of gloves for afterwards as my hands get cold and take ages to warm back up again. The water was 19.5’C so fine in the spring or autumn but not quite so comfortable when the air is 8’C. There’s no bracing as you get in but you keep moving. Last week new floodlights were installed poolside so you can swim in relative warmth til 9pm – must be magical. However the extended opening hours seem to be challenging the boiler, hence the cooler water temp. I’ve gathered together a collection of swimming books this year. As there are 10 sleeps left until Christmas there’s plenty of time to add them to your wish list or give them to your swimming friends. There are plenty of independent bookshop alternatives to the Large Online Company Based in Slough where you could buy these from – you could shop with Dulwich Books (Brockwell Lido round the corner, enormous events programme), Chorleywood Bookshop (smashing author events) and West End Lane Books (love the atmosphere but best of all their tweets). They will all happily order (and I’m sure post) books for you. Cleverly Hive allows you to select your favourite indie to support and order from online. I am now feeling slightly guilty for not making a longer list of brilliant independent bookshops I’ve been lucky enough to visit and work with, today I’ve just picked these three. I discovered this in my local library’s UK travel section. The author decided to travel all over the British Isles, and takes the reader with him, visiting every possible source of water you can swim in. From the Fowey in Cornwall to the North Sea via the ponds on Hampstead Heath to a mill pool in the River Avon. Intrigued? 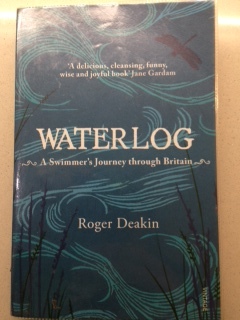 Then head on over to the blog Waterlogreswum where Roger’s escapades are reswum – you can also follow @WaterlogReswum on twitter. 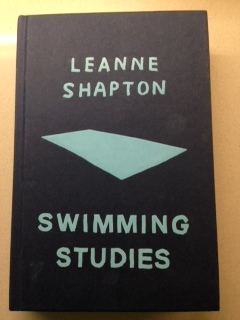 It’s the perfect bedside reading companion, taking a dip at a time. 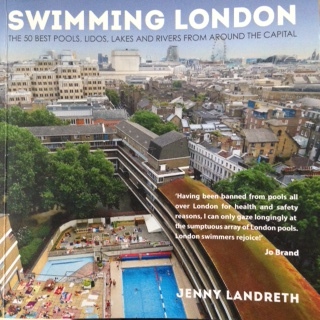 I mention this book in all my swimming posts as it’s a bible for swimmers in the capital, with glorious photos and descriptions of 50 pools, lidos and lakes. She dwells on the Victorian Baths in Kentish Town and Camberwell, wonders at the Aquatic Centre in Stratford and is frank about the facilities at Denham Water-ski Club; and so much the better. Whenever I put it on a shelf the 10 year old Super Swimmer gets it back out again for us to pour over a different place to swim in. I discovered this thanks to Kate Kellaway’s review in the Observer click through to see the image which caught my eye in the paper. Leanne was a world class swimmer, representing Canada, and her autobiography takes us through early starts, pool deck side fall outs with her coach, and what swimming meant to her growing up and means to her now. I love to open this at random, I’ve just rediscovered her passage about needing to ‘Make a Commitment’ which she takes from Dr Keith Bell’s Nuts and Bolts of Psychology for Swimmers. He says ‘A commitment is important. Once you have set a long term goal, you have decided to make the trip. Without a commitment, however, you are liable to question each step of the way.’ Leanne’s own goal – to work out what to do with something ‘I do well but no longer have any use for’. Reminds me how if you don’t have a goal, be it in or out of the water, and don’t commit, you’re not really going to get anywhere. I confess to not having read this yet, it’s on my Christmas reading pile and is the book I nabbed from my sister’s shelf. Let me know what you think of it. The newspapers are filling up with their Christmas roundups; either the books editor selects their picks of the year, or asks authors to pick theirs. I always enjoy the one the Guardian runs after Christmas which features readers’ selections the most of all. They have a different perspective, and you get a quirkier list. So with roundups in my mind I was going through picture books on our shelves at home today, looking out the Christmassy ones. My intention was to also have a bit of a clear out, it’s another of the things I’m meant to be doing now I’m ‘time rich’. Well it’s a time rich activity I can tell you looking through gorgeous books… I failed on the clear out front, but with no hesitation I took out my three firm seasonal favourites. Unlike the books in the roundups none of these are brand new. I adore this book. It works on every level; so for the adult reading it every night and for the child snuggled up in bed anticipating Father Christmas’s next challenge as he’s forced – one reindeer sick and with the other one too tired to come out again – to travel across the snowy land and hand deliver his present for little Harvey Slumfenburger. 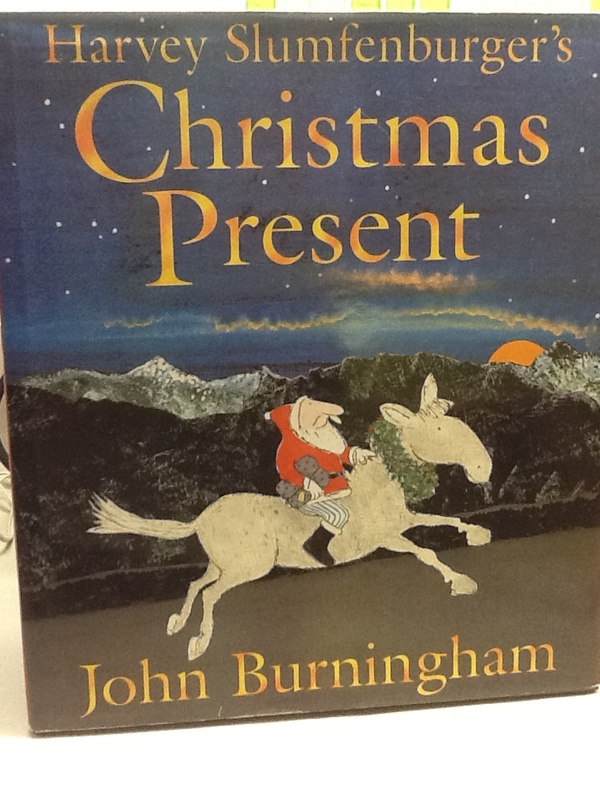 It reminds me what an immensely talented artist John Burningham is. I discovered it one November at the Wessex Book Festival. The events are run by the brilliant and tireless Winchester Children’s Library Service team whilst the enormous festival bookseller is organised by PG Wells, Winchester’s independent bookshop. 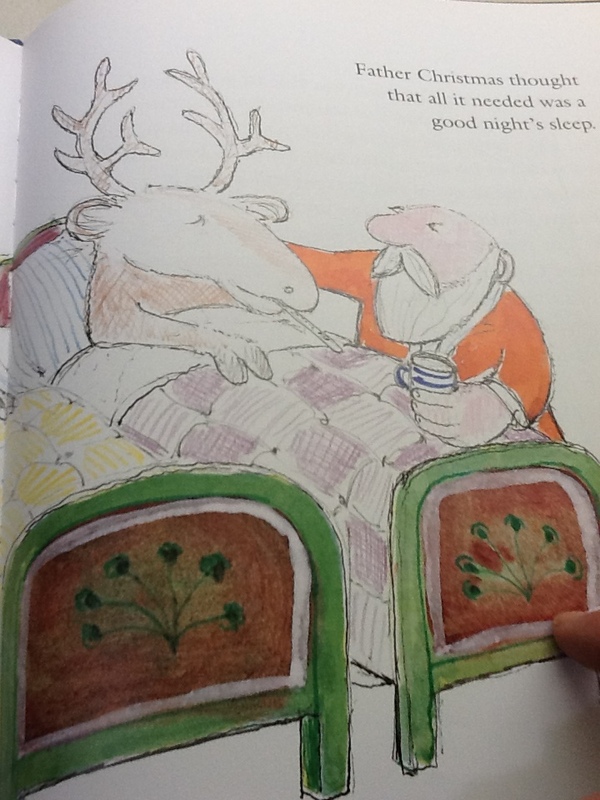 John’s stories often challenge the child, and reader, to use their imaginations. In this book we’re not told what is inside Harvey Slumfenburger’s present, instead we’re left to talk about it. I used to have to hide this book from February through to the end of the summer – late August felt about the right time to bring it out ready for the 4 month+ run up to Christmas. 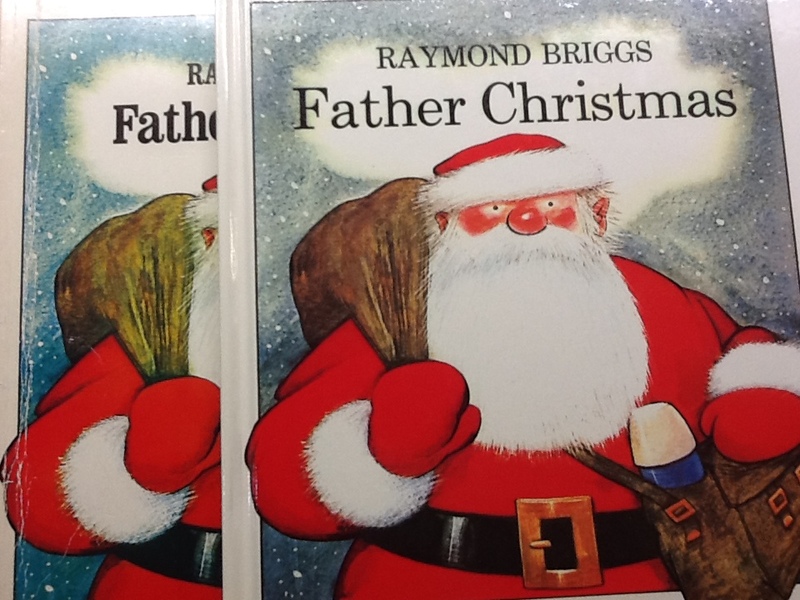 Yes Christmas books come out in our household even before the decorations go up in the shops. 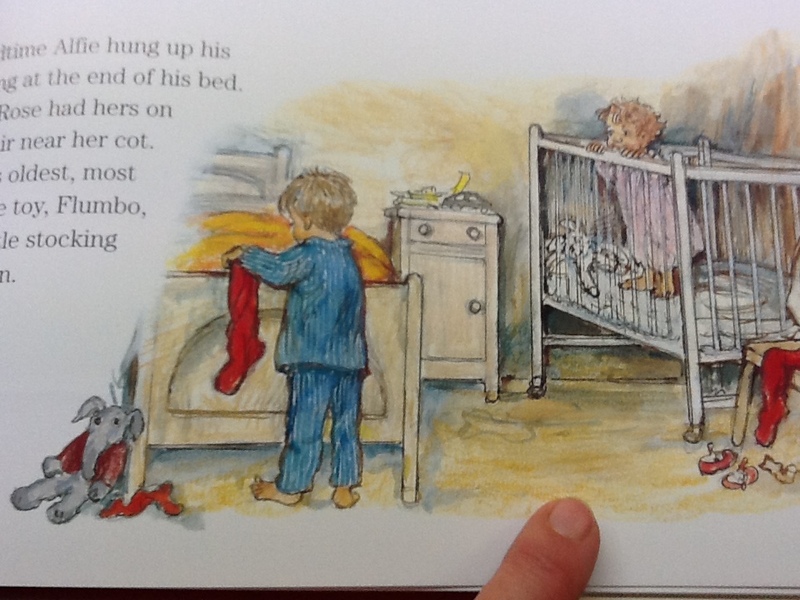 I love the comforting scenes in Shirley’s books of children going about everyday tasks. 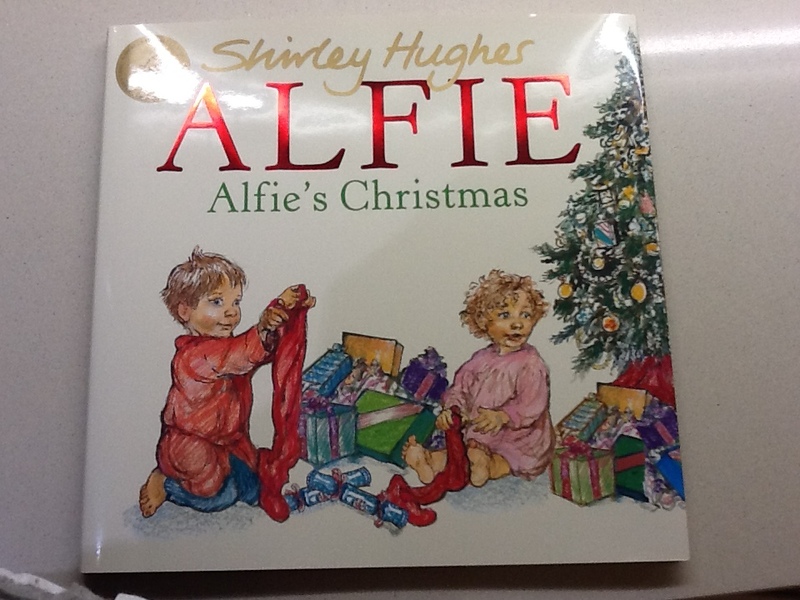 Here we find Alfie and Annie Rose preparing for Christmas, just as families across the country will be too. There’s Christmas baking with Dad, choosing just the right tree, singing Nativity songs at nursery and best of all hanging up stockings bursting with anticipation and excitement. Every page exudes warmth and charm – and as Shirley’s so good at capturing the realities of family life we also see poor Annie Rose’s grumpy tiredness!